Truly beautiful game. I loved every bit of this. Unravel is a platformer puzzle game that released back in 2016 that involves our cute little character, Yarny, with strings attached (Pun intended). Yarny has yarn attached to him and he uses that yarn to travel high and low in many different places. Therefore, he must “unravel” the yarn from himself to jump across water or pull down certain objects to progress. The game starts out with an old lady looking at a photo frame with a concerned look on her face, then she takes her basket full of yarn balls and one of them, a red one, falls out the basket and rolls away. This is how Yarny was born. The setting of the game is in Sweden and Yarny travels to different places in the photo frames around the house to find the memories that the old lady lost and put them back in her photo book. I love the atmosphere and the visuals are incredible. I’m always gaping my mouth when I’m playing because it’s just that detailed and beautiful. This is a puzzle game so you have to figure out where to jump to reach the other side or how to get to the top of the tree because Yarny only has so much yarn so while you’re traveling. You’ll see chunks of yarn lying around the level and that will replenish your yarn. When Yarny runs out of yarn, he can’t go any further and you have to find another way to progress without using too much yarn. 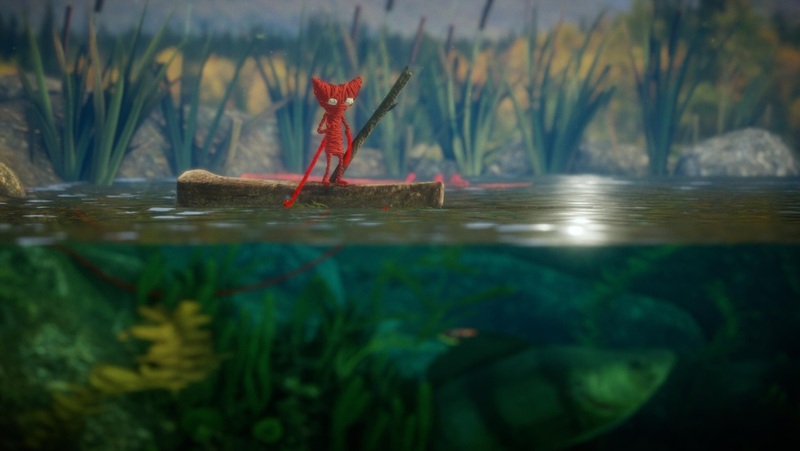 Unravel is incredibly gorgeous and I just love how cute Yarny is. Some of the puzzles are easy while others are a bit challenging so you really have to think about it. I definitely recommend this game to anyone. Truly amazing game. 10/10. Would you guys play Unravel?